Bahrain needs to develop its agriculture sector so that it boosts the economy and ensures healthier environments by increasing green spaces and achieving food security. This was highlighted as the 10th edition of the Bahrain International Garden Show (BIGS) got underway at the Bahrain International Exhibition and Convention Centre, said a report in the Gulf Daily News (GDN), our sister publication. 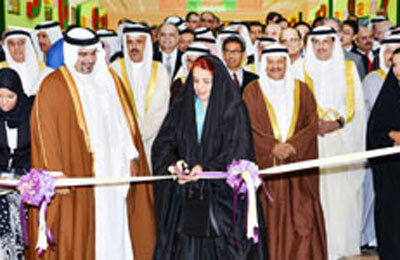 On behalf of His Majesty King Hamad, Her Royal Highness Princess Sabeeka bint Ibrahim Al Khalifa, wife of the King and president of the National Initiative for Agricultural Development (NIAD), opened the show in the presence of His Royal Highness Prince Salman bin Hamad Al Khalifa, Crown Prince, Deputy Supreme Commander and First Deputy Premier. The Crown Prince stressed that government organisations needed to co-operate with NIAD to achieve its goals of increasing agricultural land and introducing hi-tech farming methods. The Crown Prince also inaugurated a mobile application for vegetables and fruit prices and honoured winners of various events along with Princess Sabeeka. Princess Sabeeka said this year's show highlights the importance of shifting from traditional agriculture to a hi-tech one to save time, boost production, ensure food security and protect the environment and natural resources. She paid tribute to the King for his continued patronage of the show for more than a decade and thanked Unido and Tamkeen for co-sponsoring the event. The show features 130 exhibitors and an exhibiting space of 7,500 sq m, with Tamkeen supporting 26 businesses and Bahraini farmers at a total cost of BD50,500. Alba is also hosting a stand with a mini replica of the Princess Sabeeka Oasis and launching its book The Green Side of Alba. The show, which will run until Saturday, focuses on incubators, rooftop gardens and kitchen gardens with specific attention to incorporating agriculture in urban development. Organisers said this year's theme aimed at tackling problems facing the agricultural sector through the implementation of latest technologies. The show features a variety of stands and exhibits, green displays, a farmers' market, workshops and innovative designs. Amongst the various technologies and greenery on display is a "live wall" which features a wall of plants that can survive off moisture, a newly-unveiled solar panel-powered green house and a landscaping company with an upcycle drive. Fifteen Bahraini entrepreneurs and 15 Arab businesses from across the region including Iraq, Sudan and Tunis are also taking part at the Unido pavilion alongside firms from Italy and China.